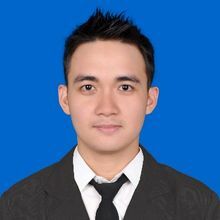 David Herlianto was both born, and lives, in Malang city. He graduated with a degree in Information Technology from STIKI University. He likes photography, playing drums and going on adventure trips. Bali is one of his favorite places. He also likes to learn/trying new things. I have helped the charity program at my church. And I also like traveling, so sometimes I am the one trying to help my friends when they travel, such as preparing travel budgets and travel planning so that they enjoy their trip. For me “Good Neighbor” means, like our next door neighbor, being the first people to help us when we have a problem. So, I think Good Neighbor is like that ‘neighbor’, who is always there to help us (especially with our insurance needs), protecting us wherever we go! 3.) Where have you traveled to/lived? What did you like about it, and what has it taught you? I am from Malang, East Java. I like to take trips by motorcycle. In December 2016, I traveled from Malang to Bali by motorcycle. It took about 15 hours. It was an amazing trip, and quickly became one of my favorite trips. I love traveling! Labuan Bajo is next on my list. I want to visit Manta Point which is a popular diving spot to see Manta Rays. I will need a diving license before visiting this place, and I hope to get that certification soon. Be safe, 2. Have fun, 3. Create memories/a story on every trip. 2.) I am very grateful for everything that God has given to me – my talents, my skills, my passion to achieve my goals.